Some Dance leaders have asked us, "Do I need to join my DUP region and also pay Leaders Guild fees to DUP International?" The answer is "No!" Simply join your region - your region membership dues includes your $30 annual Leaders Guild fee. Your region forwards your Leaders Guild fee to us! Your support of the region helps to promote and develop the Dances in your area and also funds our international work! Leaders who do not live within an organized region or network simply pay their Leader Guild fees annually by clicking the "Donate" button on this web page. As of writing, 643 Leaders are current with their Leaders Guild fees out of 1,348 individuals recorded in our data base. Our Community Coordinator Sky Majida is working to contact the Leaders we have lost touch with to confirm that they are still leading the Dances and to encourage renewal. Meanwhile, beginning in October, DUP International plans a fund drive to meet the balance of our projected budget needs for 2012. You'll be hearing more about this drive in a special October newsletter. This article continues our Elements of Mastery column in which we explore the art, craft and spiritual practice of Dance leading and mentoring. Mentors are invited to submit their reflections on this topic to the Guidance Council. 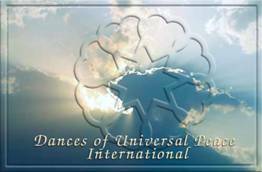 The Walks and Dances of Universal Peace are an exquisite vehicle for the transformative spiritual awakening to our true nature. In the Dances we overcome isolation and the illusion of our separate individual states, and join together in the experience of our shared humanity. All people have words and expressions for love, compassion, peace, and joy. The Walks and Dances offer us a medium to experience and open to these kind of qualities that are, in reality, always present. We tune ourselves through rhythm, breath, heart awakening, and embodiment to the reality of Love, Harmony, and Beauty. A quick look at the world news reveals a major gap between the values of love and happiness that we all want in our lives, and our actual collective human condition. In this light, The Walks and Dances of Universal Peace are an active, positive, and powerful agent of change and transformation. As dance leaders, we cultivate and develop the capacity to become conduits for such transformative experience. But the question arises: What are some of the ways we cultivate and develop this capacity? Your user name consists of the first four letters of your last name, the first two letters of your first name, and two numerals (usually "zero one"). We are not able to change user name, however, you can change your password anytime by following #2 below. "My Info" then "Edit". This helps us stay in touch with you and updates any display of your name and email response form displayed on line. Mentors can also view their list of Mentees and their contact information by clicking "My Info" and then "Mentees". This shows the current contact information we have for your mentees. Help us stay in touch your mentees by letting us know of any changes or errors. 3. ACCESS the Resource Library of 275 Dance write-ups and audio files, and many articles, papers and resourcesessential to building your repertoire and capacity as a Dance leader. You can search for dances by originator, title, tradition, etc and sort your results by clicking the column headings. Open, print or save .pdf files of the Dances to your computer and listen to streaming audio recordings of the Dances you want to learn by clicking the play (>) button. You can also download .mp3 recordings to your computer by right-clicking the word "recording" and choosing "Save Link As". 4. 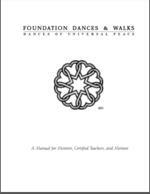 ACCESS the Foundation Dance and Walks Manual in English as a single .pdf file clicking the link to the articles/papers section of the resource library and then the link at the top of the page to the FDW Manual. The Foundation Dances and Walks Manual is a collection of Dances gathered in a binder, first published in 2001 by DUP International in 2001. We are pleased to offer here a completely revised and corrected 2011 edition in .pdf format. Please note that all of the material from the manual has already been broken down and distributed throughout the resource library as separate .pdf files. gives you access to contact information for all mentored Dance Leaders of record worldwide. Search by name(s), country, state, city etc. and then sort your search results by clicking the column headings. Remember this handy resource if you are travelling to visit dance friends in othe parts of the world! 6. POSTyour International Events and Dance Leader Training Events on our calendar pages and upload your event flyer for download by interested participants. You can access the Calendar pages in the drop-down menu under "Worldwide Network". 7. CATCH UP on any past DUP International newsletters you've missed in English, German, Spanish or Russian at Newsletter Home.